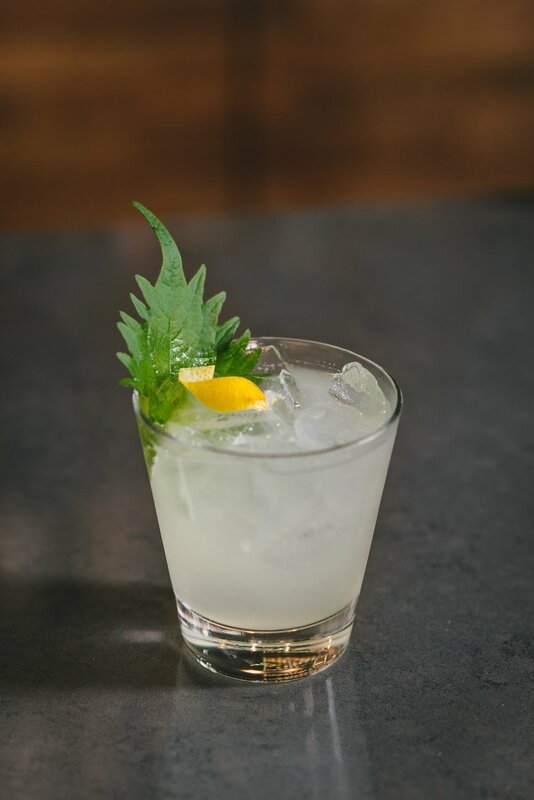 In a tall glass, mix Roku Gin, yuzu, simple syrup and ice. Cover and shake about five times. Strain into a different cup filled with ice. Top off with sparkling sake. Add lemon peel and shiso leaf for garnish. The Nippon 75 goes great with our Kampachi Crudo. The savory caramel in the crudo dish balances the yuzu perfectly. The Roku Gin is a good match for the heat from the pickled fresnos and kaffir lime.